“UFC on FX: Guillard vs. Miller” takes place Friday inside Bridgestone Arena in Nashville, Tennessee. Make sure to stay with 5thRound.com all night for our live coverage. FUEL TV will start the evening off by broadcasting six preliminary bouts live starting at 6PM ET/3PM PT. FX will immediately follow up by airing the card’s four featured fights at 9PM ET/6PM PT. 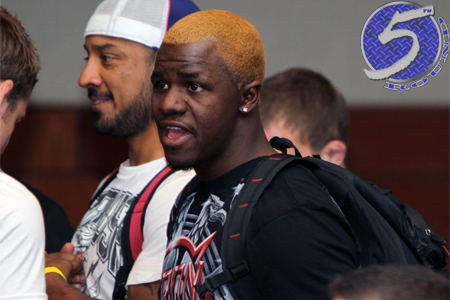 Friday’s event showcases a critical lightweight fight between Melvin Guillard (Pictured) and Jim Miller. Welterweights Josh Neer and Duane Ludwig will serve as the night’s co-main attraction.